The other day, I decided I needed to organize all of my recipes. I have a huge expanding file folder full of recipes that I’ve printed, cut from magazines, copied by hand, or been given over the last twenty or so years. Some of them I save just because I treasure the person who gave them to me, and I like having their handwriting – or even just their email signature – from years ago. There’s one recipe that my now-17-year-old wrote his name on when he was just learning to write, and I’ve saved it for more than ten years, even though I’ve never actually made the recipe. I have recipes from my grandma, my stepmom, my aunt, my sister, friends, co-workers, and, of course, the Internet. I have four banana bread recipes alone: a vegan one, my stepmom’s, my aunt’s, and my husband’s grandmother’s. I can’t tell you which one I like best…it might start a feud. When I started going through my stash, I initially thought I’d just throw everything out, because I figured I can find pretty much any recipe online with a quick Google search. And, truthfully, I’m always a little bit worried that I might turn into a hoarder (if you saw my collection of old peanut butter jars and cardboard you’d probably think that it was already too late). I try not to hang onto things for purely sentimental reasons, because with 9 people in the house, there’s barely room for the essentials, let alone a bunch of things that I have an unreasonable emotional attachment to. But as I was looking through my grandma’s stew recipe, I thought about all the times I’d eaten it at her house and what a wonderful cook and hostess she was and I couldn’t throw it out. My Texas Caviar recipe reminded me of how thrilled my family was when we discovered Texas Caviar and of the time when my husband and I were trying to learn how to eat vegan together (it was one of the only foods we already loved that we could actually still eat). I found a recipe for white chicken chili from a friend that she emailed me when we worked together years and years ago, and it reminded me of how much I enjoyed working on projects (and complaining about work) with her. I know I could go online and find recipes just like these, along with beautiful photos and step-by-step instructions, but it just wouldn’t be the same. And then, I had a deep thought: These recipes aren’t just recipes. They’re a connection between me and the people I love, even those whom I don’t get to see or talk to anymore. Making them – even just reading through them – draws me closer to the people who gave them to me. One of my most treasured possessions is a cutting board that my sister had engraved with a recipe in my mom’s handwriting. It’s a recipe for coffee cake, which I don’t ever remember her making, but just seeing her handwriting makes me feel connected to her, more than 30 years after her death. I look at it and daydream about my mom, remembering her cooking dinner, doing dishes, and talking to me about my day after school in the kitchen. You hear a lot about “comfort food”; there is something very comforting about making and eating familiar foods. Then, I had an even deeper thought: The internet is killing these kinds of family connections. We don’t have to seek out or learn recipes from family and friends anymore. Mom and Grandma are no longer the closest and easiest source of advice for thawing a roast, or chopping an onion, or rolling out cookies. Why bother with family members when we have Gordon Ramsey and Ree Drummond six inches away? Recipes today aren’t special or specific to certain people or places – we just look them up online and pick the one that has the highest rating, or the best picture. We miss out on the opportunity to call someone up – someone we know and love – and ask them for help (FYI to all kids and grandkids out there – we moms and grandmas love it when you do this). We miss out on opportunities to connect with our family and our heritage. We develop a false sense of independence, as though, with the internet at our fingertips offering the newest and best of everything, we don’t have any need for anything or anyone real, or “old,” or old-fashioned. Then, I had my deepest thought yet: Every forgotten and discarded family recipe is a lost opportunity to bind one generation to the next. 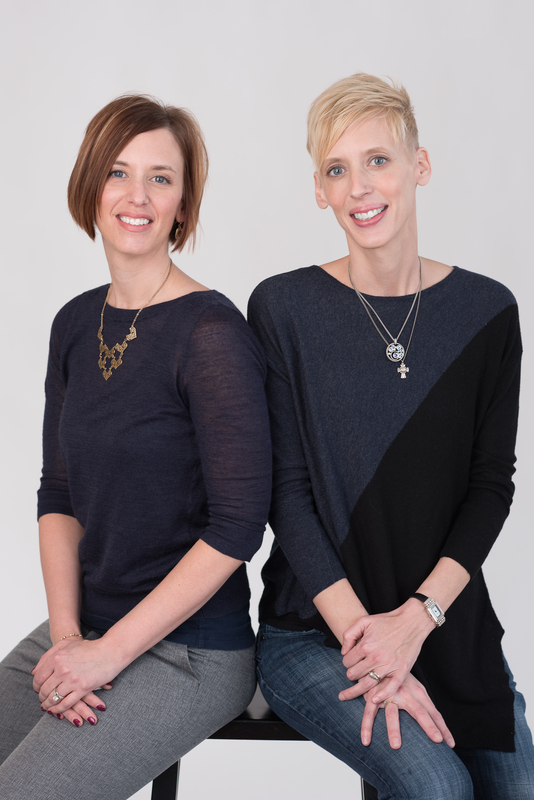 I’ve read many, many parenting books, and a recurrent theme is the need for family identity (which you can read more about in THIS blog post). Basically, family identity means feeling loved by and bonded to your family (mainly parents and siblings, but also across multiple generations). 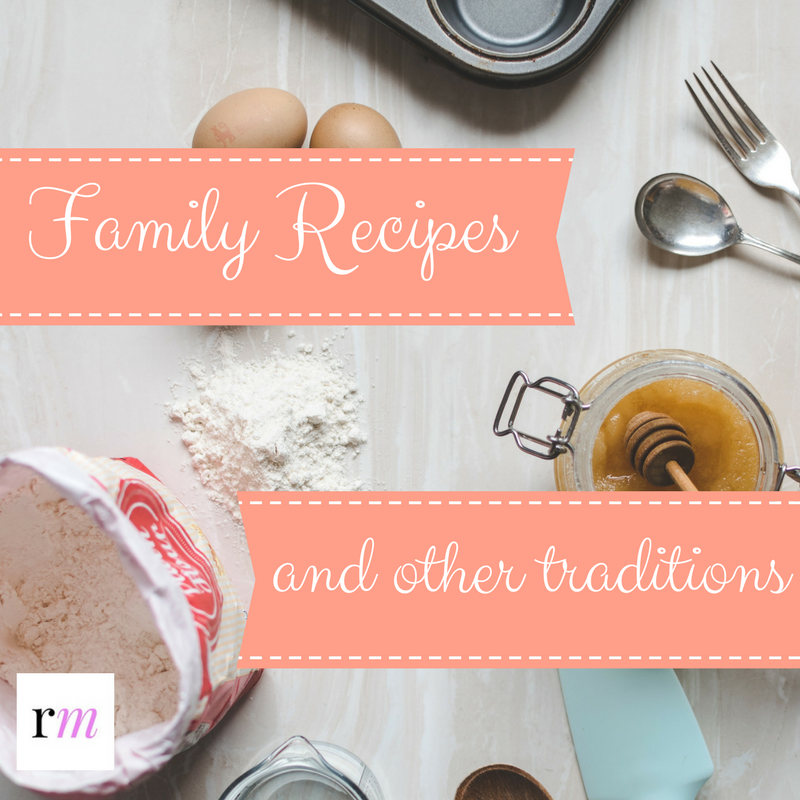 What better way to build family identity than to make and share family recipes? Our kids desperately need to feel connected to us and to their extended family. They need to feel like their family is special and has more to offer them than any other outside relationships or thing. If our kids don’t get their sense of identity and belonging at home, they will seek it in other, often destructive, ways. I can’t think of a better way to reinforce family identity than by making and eating a special family recipe together. What a great opportunity to share our own memories of the food we’re making and to build new memories with our kids. You don’t have to do anything complicated. Complicated tends to stress me out and make me want to forget the whole thing. If all you do is eat a meal together and talk about which family member gave you the recipe, or about your memories of eating the same meal as a child, that’s enough. If you don’t have any family recipes to draw from, try making something that your ancestors ate (if you know your ethnicity), or something that’s a traditional food for your current region/state/country. Or, as we did on the Epiphany, try making some food that’s specific to the holiday you’re celebrating. The absolute best family traditions incorporate faith and religion, but if that seems overwhelming, start with a meal and gradually add things like prayer, Bible reading (or Bible story reading, for younger kids), going to church, or (if you’re Catholic) maybe even Eucharistic adoration. If you’re crafty, add a craft. For the Epiphany celebration, we made crowns out of aluminum foil. It only took about 90 seconds to do, but it was still special and memorable, which is exactly what you want. Kids typically don’t like complicated stuff any more than we do. If I try to do a craft with my kids that has more than two or three steps, I usually end up finishing all of them by myself (which I kind of enjoy, but it’s missing the whole point). If your kids are grown, consider inviting them over for a monthly meal. When I was a teenager, we went over to my grandparents’ house every weekend (or what seems like every weekend) for dinner. Many times, we had hamburgers, and I can still picture the tray that my grandma used to hold all the condiments. I loved those dinners, and I know my parents did too. It’s never too late to start. Have each child help prepare dinner on certain days of the week or month. Let the child help pick the menu and the table decorations. Crafty kids can even make out special menus, place cards, and invitations for their meal. Celebrate out-of-the-ordinary days that are meaningful to your family – baptism and confirmation days, half-birthdays, pet birthdays, the anniversaries of important milestones like moving to your current home, etc. Play “dinner games” while you eat. We have a set of dinner game cards from Chik-Fil-A that we love, but you can find all kinds of these games online. Our favorite one is to go around the table, starting with the letter A, and have each person say the name of a city or state that starts with the next letter of the alphabet. Another fun one is to pick a “virtual” hiding spot in the house (without actually going there) and have the rest of the family try to guess where you’re hiding. If the kids aren’t into it (and at a certain age, they won’t be), don’t force them to participate or to express appreciation for all of your efforts. It won’t work, and it might ruin the whole evening for all of you. Just let the ones who ARE interested enjoy what you’ve got planned, and those who aren’t can just eat quietly and watch the fun. Everyone will remember what you’re doing, even if they’re just watching, especially if it’s relaxed and enjoyable. If you’re spending most of your time yelling at them for not participating (been there, done that), well, you’re doing the opposite of what you wanted to do. What family recipes, mealtime activities, and traditions do you enjoy? Tell us in the comments!